Looking to have Certificates printed, framed and mailed out? This is a question we receive now and again, and the short answer is Yes – we do that. And we’d be happy to talk with you if you are searching for a way to accomplish this. 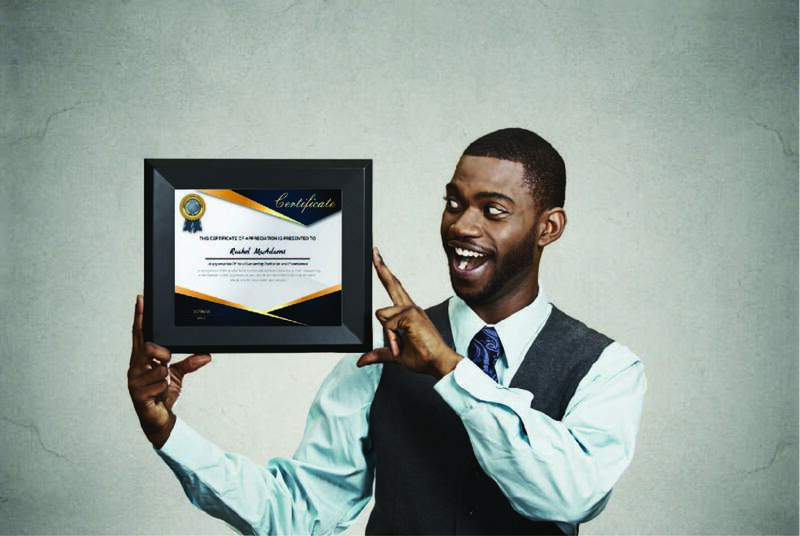 However when we are working with our clients, or talking with prospective companies about setting up a system to mail out framed certificates, there are several important factors to consider. It’s best to fully consider all aspects to determine if it is feasible to have your certificates printed, framed and mailed. This blog will highlight some of the major considerations to keep in mind, if you are looking to outsource the printing, framing, and mailing of your certs..
1. Who Knew Style Could Be Fragile? 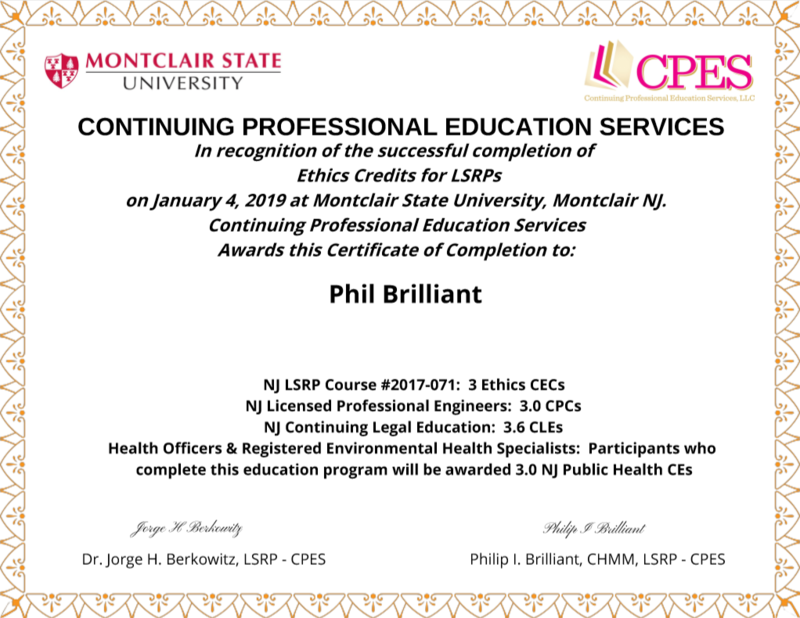 Everyone comes to this discussion with a similar goal and intent: To reward your certificate recipients -Doctors, graduates, honorees, etc – with an impressive, meaningful, framed certificate that will immediately be hung on a wall for years to come. It’s a noble, commendable goal – but keep in mind that a large, beautiful frame that checks all the boxes in the design category might be fragile, and easily damaged during shipping. Or to ensure it does arrive in a pristine shape, the packaging costs might become more than you have bargained for. More about that in #3, below. But when thinking about what your end product will be to your recipients, it’s best to think about it in terms of utilizing a frame that is simple, sturdy and not overly large. Another common misstep is to automatically rule out using frames that have clear acrylic as a faceplate, in leu of using frames that have a glass face plate. As we all know, glass is fragile, and even the best packed frames can sometimes break during shipment. If your goal is to deliver a meaningful memento, having him/her open the package to discover glass shards is not a great lasting impression. It’s our recommendation to consider using frames that have a clear acrylic faceplate, to ensure there are no nasty surprises. As you may know, SimpleCert is an online self-service tool that allows you to instantly create any number of certificates. 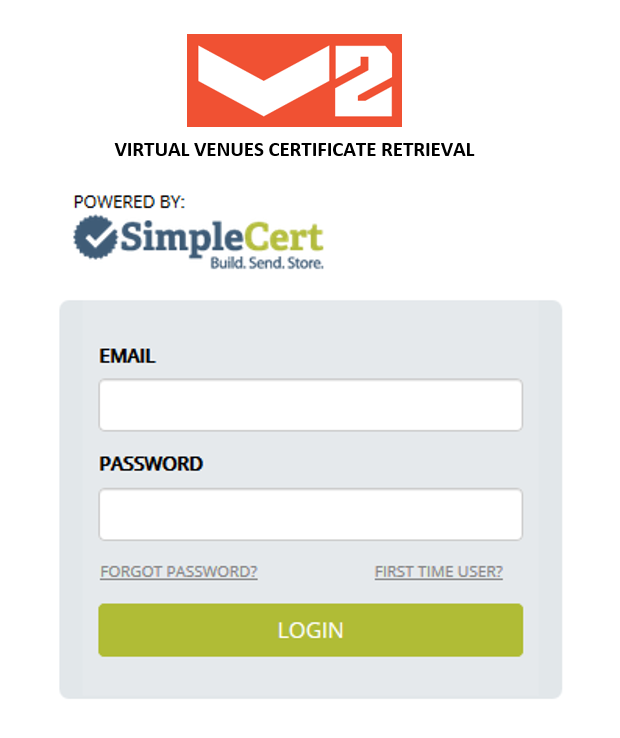 Certificate recipients have a high quality, electronic certificate waiting in their email inbox the second you send them out from SimpleCert. Instant gratification! When we send certificates out for clients via mail – depending on how much money you are willing to spend to ship them out – your recipients can easily be waiting for many days, even weeks before they receive their certificate. It’s possible that the perceived value of your certificate may diminish to a recipient during that time. Every use case is different – so be sure to ask yourself how important is it that your certificates are received quickly – and is the perceived value of your certificate diminished by the amount of time it might take to mail to a recipient. With these numbers it’s safe to project that you are looking at ballpark costs of between $6.09 – $20.69, per certificate – with actual postage costs added to that – as a good estimate. If these numbers are within your budget, then let’s talk and we can get you set up. But suffice to say when projecting out these costs across an entire Certificate program, many companies opt for an alternative method to distribute certificates. The vast majority of these companies opt to utilize SimpleCert for its original design – as a way to provide high quality certificates to recipients online. Taking these factors into account, it will become easier to determine what is right avenue for you to take. If budget is a factor but there is still a strong need to mail certificates, consider engaging SimpleCert to print high quality certificates that would be mailed without a frame. Taking out the certificate frame will greatly reduce shipping and packaging costs, and eliminate any possibility of damage in shipment. It’s of course our opinion that the true value of any certification you give is in the actual certificate itself, and less so in an actual frame. SimpleCert is designed to automate the process of Certificate Management, and provide your recipients with a high quality certificate that they can store and enjoy digitally OR physically – if they choose to print the certificate out. At the end of the day however, it’s our job to support you – so shoot us a line at inquiries@simplecert.net if you have questions, or are looking for a way to outsource the printing of certificates. We’re happy to help. 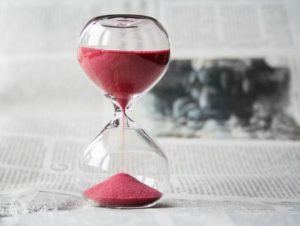 • Did you know if you currently spend 4 hours a month on a certificate process, with SimpleCert you would save 2700 minutes a year! That’s 45 hours or 1.875 days. One of the most popular features among SimpleCert Monthly Subscribers is the Recipient Portal. In this Blog we’ll describe what it is, how it works, and why it’s such a valuable feature to users with frequent certificate distribution needs. If you are reading this blog, you are probably familiar with how SimpleCert works: SimpleCert is a Certificate Management System. It allows you to create a free certificate template, and then use that template design to distribute customized certificates to your recipients via a notification email. Each recipients’ certificate is automatically customized by data that you upload into the system (first and last name, company, title of the class they have completed, for example) prior to sending your notification emails out. Recipients simply click on a link that’s included in the notification email to access their certificate, and from there they can save or print their certificate out. Pretty cool, huh? Not so fast though – here’s where things get even cooler with the Recipient Portal. The Recipient Portal feature is included in a monthly subscription to SimpleCert. As a monthly subscriber, you can brand Recipient Portals with your logo for an added marketing plug. Then when you use SimpleCert to distribute certificates, each recipient who you send a certificate to will have a Recipient Portal created for them in addition to the traditional certificate download link. Every certificate that you send to that person in the future will also be placed into their portal and is available for them to access. Let’s say for example you are an instructor for Continuing Education classes, and your students take your classes to earn credits that count towards their Continuing Education requirements. Over several years you can expect your students to take multiple, if not dozens, of classes from you. 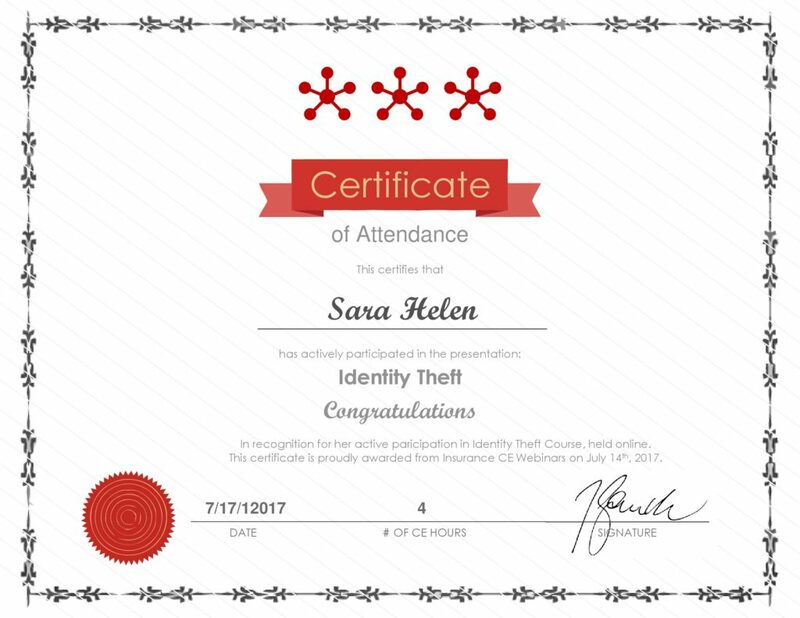 If you are a monthly subscriber to SimpleCert, each of your students will have their own individual portal where all certificates they receive from you will be stored. They no longer have to track and store the certificates that you send out, and all of their certificates are accessible at any time from within their portal. There’s no cost to them since it’s automatically included in your subscription to SimpleCert. You gain some valuable brand recognition with a branded Recipient Portal, and you provide a fantastic bonus to your recipients at the same time! It’s pretty easy to see why for those in the know, the Recipient Portal feature is perhaps the greatest feature of SimpleCert. We invite you to log on and see for yourself today! We hope that SimpleCert then extends and improves the certificate process even further by allowing you, after importing a great template, to then email it to your recipients. No more updating each certificate and saving individually! Other features that go beyond the certificate builder are really in the sending and storing. Email features include allowing you to customize each email for every project/certificate with recipient’s name, the award/reward title, and the ability to add your logo and attachments. However, we think the magic is actually being able store and resend certificates. There are requirements for CPE providers, for example, to keep certificates for 5 years (auditing does happen!) And what better service as a CPE provider to be able to easily send those certificates out again (for free!) for those recipients trying to get all their credits aggregated and tallied for the annual renewal or the dreading individual audit! So what’s stopping you from improving your Certificate Process?! Use SimpleCert today and sign up for a free account. And for those of you that have signed up but haven’t got passed creating your first Cert Set, take the plunge. 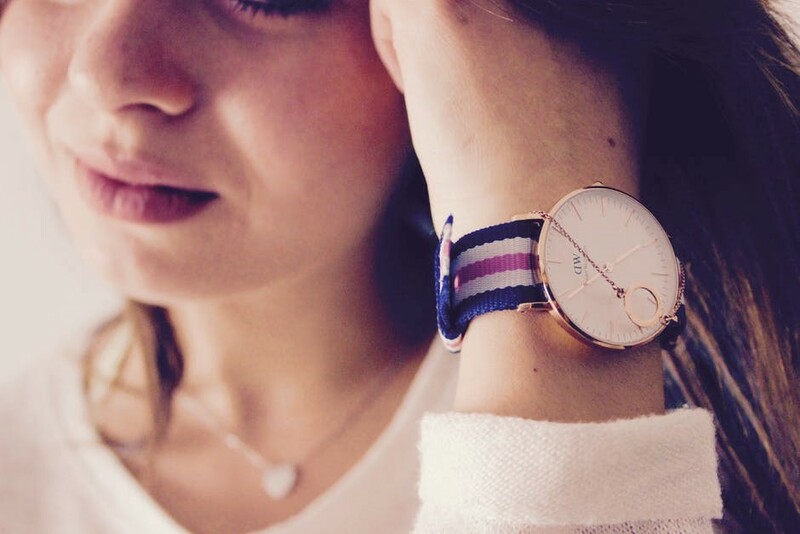 Isn’t your time worth it? IRS Approved Continuing Education Provider – Check out SimpleCert! According to IRS.gov, “The Annual Filing Season Program is intended to recognize and encourage unenrolled tax return preparers who voluntarily increase their knowledge and improve their filing season competency through continuing education (CE).” As an IRS Approved Continuing Education Provider, that’s where you come in…to provide those 16 hours of continued education per year! The content is your bailiwick, but we can help you create the certificate of completion. You are required to give tax preparers who attend your program a certificate of completion. To help you with this process, we have a NEW updated template that meets all the requirements listed on the IRS Sample Certificate. The beauty of SimpleCert is that once you update the IRS template with your CE Provider Name and Address, as well as add your Designated Officer Name and signature, all you need is an excel file with the data merge fields that will change for each program. You can even use the same IRS Provider Excel Template that you use to submit your participants’ information through your online CE provider account! 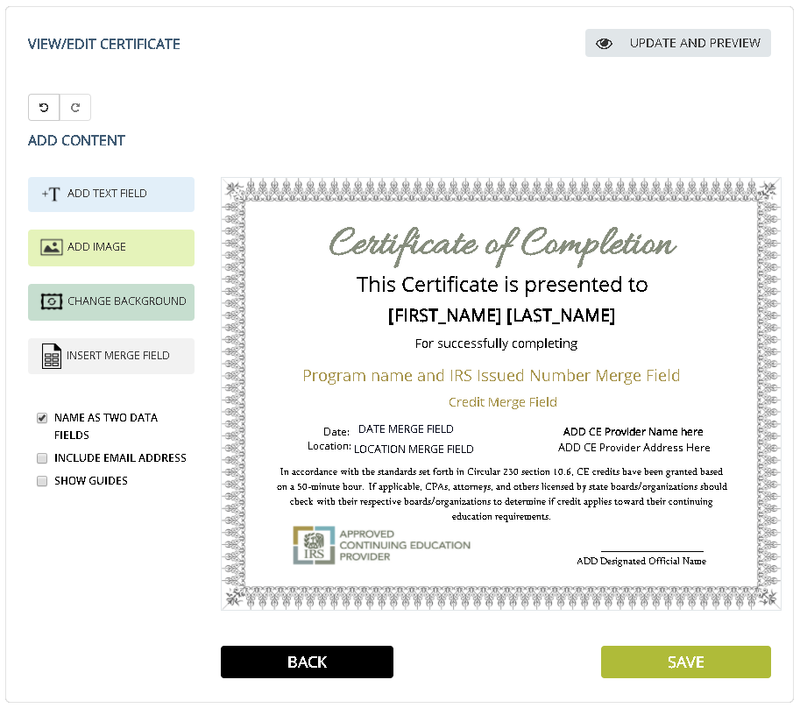 The parts that change: Program Name, IRS Issued Program Number, CE Hours Awarded, Program Completion Date, Location, and Email are all merge fields that SimpleCert uses to create your participants’ certificates. Once set up, it takes seconds to create and email your certificates. It’s that simple! SimpleCert stores all your certificates for your program as a single project for your records. This includes the master certificate of completion and all records of who completed programs and when. Did you know you need to keep these records for a period of four years? See Standard No.13 for a complete list of records to be kept in the event you ever get audited! Now that SimpleCert is here to help with your certificate management, you can sleep soundly at night! If you wish to apply to become an IRS Approved Continuing Education Provider, please visit IRS CE Provider. Are you a NASBA CPE Sponsor? If so, you may become a CE provider recognized for continuing education purposes by an IRS CE accrediting organization. Many parts of the federal education law called No Child Left Behind were highly visible, but one of the less known provisions, the Supplemental Educational Services provision set aside funds to allow low-income students in poorly performing schools to get free access to after-school tutoring. Research has found that the benefits of this provision vary, depending on location and the types of providers offering tutoring services. But regardless of benefits, low attendance has been a consistent problem. Using a randomized experiment, my colleagues and I set out to test whether students eligible for tutoring would attend sessions more regularly if they got either certificates of praise or money for doing so. Students in one group got a reward of $100 (distributed via an online platform) for consistent attendance at tutoring sessions. Students in a second group got certificates of recognition for consistent attendance, signed by the school’s district superintendent and mailed to their homes. Students in the third group were a control group, whose members received no experimental incentives. Our results were striking. The students who were offered up to $100 for regular attendance were no more likely to attend tutoring sessions than if students were offered nothing at all. However, when we offered students and their parents a certificate, attendance went dramatically up. Students in the certificate group attended about 40 percent more of their tutoring hours than students in the control group who got no rewards or praise. Our results parallel those from prior studies, where paying students and teachers for higher test scores proved ineffective. However, those earlier studies were not a definitive test of monetary rewards, because teachers and students might have lacked the knowledge or support they needed to improve test scores. In other words, you can offer a man more money to catch more fish, but he will not be able to claim the money if you don’t help him improve his fishing skills. In our study of attendance at tutoring sessions, the situation was different. We offered money to students who attended regularly – and when they got to their tutoring sessions, there was someone to help them improve their skills in reading and math. The ambiguity that plagued interpretation of the experiments where teachers and students were offered money to improve test scores does not hold for our experiment. Although the benefits of the monetary incentives were negligible, we found that the students in the certificate group attended 42.5 percent more of their allocated tutoring hours than students in the control group. This is a very strong effect – and the impact of offering the certificate for good attendance was especially strong for female students, who attended significantly more of their allocated tutoring hours than male students who were also offered certificates. Policymakers and practitioners seeking to increase attendance of tutoring sessions and other underutilized student supports should note how cost effective it is to offer certificates. In our study, providing the certificates cost about $9 for each student who completed all of the tutoring sessions. The cost for monetary rewards was obviously much more – more than $100 for each student who completed all the allocated hours. In short, the certificate intervention is more than 6,000 times more cost-effective than the monetary incentive. Our estimates are rough and paint an extreme picture. But they illustrate an important conclusion: non-monetary incentives can both work better than doling out money and can be a lot cheaper way to nudge students toward educational success. Even so, the results of our experiment do not offer a comprehensive answer to an ongoing puzzle: Would it work to offer certificates of recognition to try to motivate many kinds of desirable student behavior? 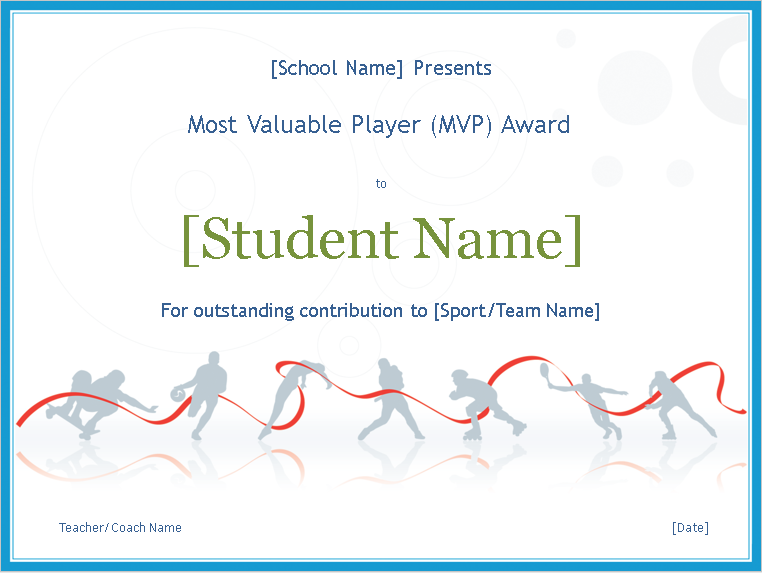 Using certificates might not work as well if they were more widely used, because economic theory suggests that the value ascribed to a certificate of recognition would likely have diminishing marginal utility – that is, students would care less about earning these certificates if they were awarded all the time to reward all kinds of things teachers and parents want students to do. Even in our own study, it might be that a second certificate of recognition would not have the same impact as the first. Furthermore, earning a certificate of recognition might not matter as much to a student who consistently brings home excellent report cards as it would to a student who earns lower grades. In real world applications, educators using non-monetary incentives may need to take such possible diminishing returns into account. Even so, our results should inspire measured enthusiasm. Many other experiments with student incentives have registered disappointing results, but we found something that works well at very low cost. Educators should try incentives of this sort to boost participation in underutilized programs. And our study should also inspire researchers to do more nuanced and imaginative research on student incentives. Read more in Matthew Springer, “Monetary vs. Non-Monetary Student Incentives for Tutoring Services: A Randomized Controlled Trial,” (with Brooks Rosenquist and Walker Swain). Journal of Research on Educational Effectiveness 8 (2015):453-474. This article was originally published on Scholars Strategy Network. Read the original article.